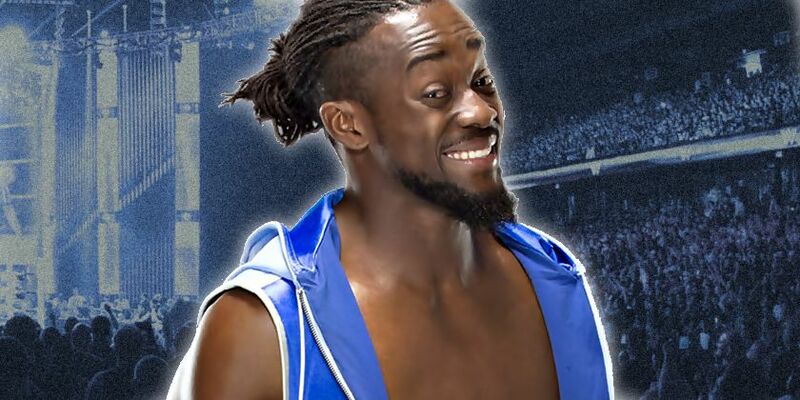 Kofi Kingston spoke with Busted Open Radio today to promote the WrestleMania 35 match with WWE Champion Daniel Bryan. Regarding the racial undertones in the storyline, it was noted that a lot has been made of the 'people like us' phrase but Kofi now says this was left open-ended for a reason, and it means everybody who has struggled, among other things. This is a bit different from previous comments he has made on the Road to WrestleMania 35 storyline. "We left it open-ended for a reason, and it means a lot of different things," Kofi said. "For example, myself, I wear pigtails in the ring. I wear pink, I skip, I clap, I twerk. You know what I mean? And you don't see someone like that in the main event scene. There is obviously the element of race concerned in it, right? Like, you haven't seen many African American champions hold major titles. So, that is definitely a big piece of it. So, I think what's awesome about this whole storyline is that so many people can identify with it. Whether it be people who are.. like black children, who are looking at the screen, and they see black men doing excellent things, and excelling, and doing excellent things. "Now they believe that they can do excellent things. That's a huge part of what we do, and that's a huge element of pride that we take in being able to be that beacon of hope. But, also, from the perspective that kind of transcends race, is the fact that this is a legitimate 11 year journey, it's an 11 year grind. You know what I mean? People like us, like people who work as hard as they possibly can, who are told, 'No!' Even before I became a WWE Superstar, I was told I was never going to make it because I wasn't big enough. You know what I mean? I wasn't strong enough, I wasn't 6 foot 8. And here we are. You know what I'm saying? People who are always climbing obstacles, climbing mountains, only to find more mountains at the top of those mountains, and having to climb again. You know, 'people like us', it involves... it's everybody who has struggled, you know what I'm saying? Everybody who has... who has had a difficult time getting to where they want to be, and now they can look at us as examples of, 'Hey, I can do this because they did it and I see it happening. Maybe I can do it, too.' To be able to provide that motivation for anybody, you know, black, white, from anywhere. Anybody from anywhere can look to us and find that sense of motivation." "It's everybody who has struggled."